High pixel count simulators are nothing new, but hold many problems. Typically, the fewer the number of projectors the better, so higher and higher resolutions projectors have evolved. This presentation will address e-shifted 8K and native 8K projectors and issues associated with trying to distribute a truly 8K real-time pipeline. As products go mainstream and into the commercial environment, cost and typically quality goes up. The 4K market is now a commodity item, but not always suitable for simulation environments. Other attributes are required beyond just resolution and add cost and tradeoffs to the system. Color, contrast, and brightness are also just as critical as well as higher frame rates to reduce motion issues. I will also discuss interface challenges needed to get 8K data to the projectors. Light sources have now evolved so the standard illumination system is laser based, with Laser Phosphor being the Holy Grail of simulation now. I will discuss its advantages and cost of ownership points concerning simulation requirements. 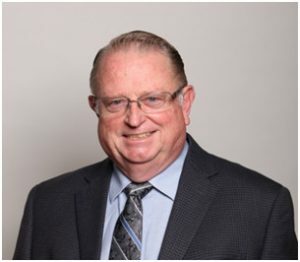 Rod Sterling is Chief Engineer and general manager, JVC Engineering Group, Visual Systems Division, JVCKENWOOD USA Corporation, in Long Beach, California. He received his dual Bachelor degrees in Physics and Mathematics, and a Master’s of Science in Electrical Engineering, Applied Physics from the University of California, San Diego. He currently supports the efforts in ultra-high resolution displays, Reference Series and Visualization Series projectors and their applications, with focus on Simulation, High Dynamic Range, and Visualization displays. He has over 33 years of experience in the display area and over 25 years in Simulation and Electronic/Digital Cinema. He is the author of over 28 journal articles, 12 patents and 2 screen credits. He is an active member of SID, IEEE, SPIE and SMPTE. After receiving a BS in Applied Physics, Jack worked four years in high resolution sonar at the U.S. Navy Electronics Laboratory in San Diego. The next thirty five years involved real time system programming in air defense systems, and various graphic and laser systems for Hughes Electronics, including nine years overseas residence in Japan and Europe. 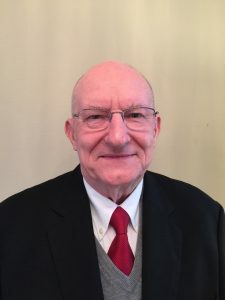 When the Hughes JVC Technology joint venture was formed in 1992, Jack became Vice President of planning, marketing, sales and service for HJT’s world-wide projector business. From year 2000 on, he managed the JVC USA Professional display business forming successful, long term partner relationships with many major aerospace organizations. In 2016 Jack received a unique JVC 50 year continuous service award, and presently is Corporate Advisor for JVC’s world-wide flight simulation display activity.